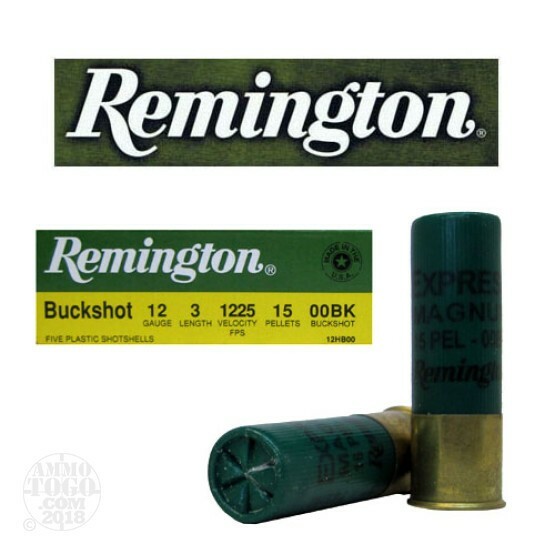 This is 12 Gauge Remington 3" 15 pellet 00 Magnum Buckshot Ammo. This is excellent ammunition. It comes packed in 5rd. boxes, 250rds. per case. Muzzle Velocity: 1225 fps.